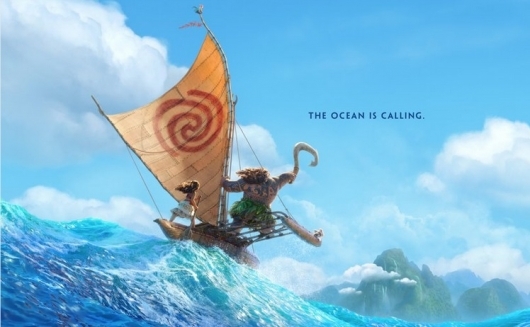 As promised when we saw that new poster recently, Walt Disney Animation Studios has released the first teaser trailer for their latest animated feature, Moana. 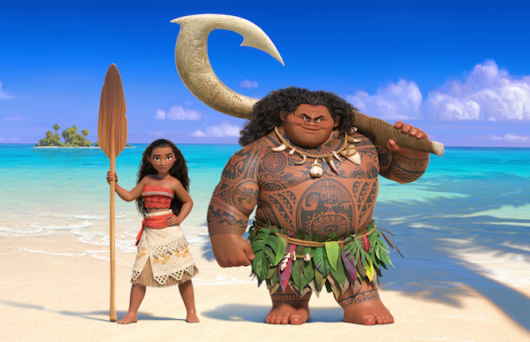 The movie, which is directed by Ron Clements and John Musker, stars newcomer Auli’i Cravalho as the title character, a teenager on a journey to save her people, and Dwayne “The Rock” Johnson as the demigod Maui. 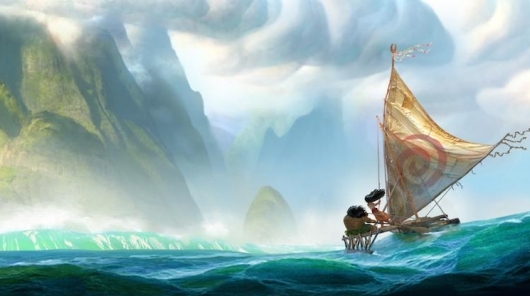 You can read more about Moana and check out the first trailer below. Disney’s Zootopia recently hit $1 billion earlier this week, but it is easy to forget that they also have another animated film that is coming out this year. Moana is the Pacific Islands set film that centers on a young teenage girl (voiced by 14-year-old native Hawaiian, Auli’i Cravalho) who shares a special bond with the ocean. With dreams of becoming an ocean navigator, our title character and her animal friends — a pig named Pua and a cranky rooster named Hei Hei – journey out into the ocean where they meet the devilishly handsome demi-god Maui (voiced by Dwayne “The Rock” Johnson). Together they will revive the once-proud family tradition that has mysteriously gone unpracticed and meet dangerous elemental challenges along the way. Aside from the casting and the D23 presentation that we saw last year, there has been little to no promotions for Moana. Until now. Johnson took to social media to unveil the film’s first poster and announce the release date of the first trailer for the film. Check out all of that below. Disney’s animated musicals have been known to cast on two fronts: they are notable A-list actors or performers with powerful singing voices, and Moana is no different. While Dwayne “The Rock” Johnson will provide a supporting role to the newcomer Auli’i Cravalho, the film will be adding someone with a musical background. According to new reports, the movie will be a reunion of sorts as Hamilton star Phillipa Soo will be joining the film which will have songs written by Hamilton creator Lin-Manuel Miranda, who will be taking one last bow in July. More on the story below.